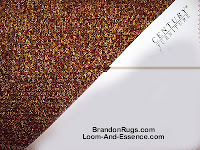 ﻿Although most designers would recommend selecting an area rug prior to making other choices in the development of new design plans for a room, experience demonstrates that most often the rug becomes a finishing touch -- the last piece in the puzzle -- a decision delayed until other choices (furniture, fabrics, paint, window treatments, accessories) have been made. While, once upon a time, this posed no difficulty, this order of events now does pose more of a challenge to all concerned because of dwindling inventories in REAL handmade rugs (which excludes tufted rugs, machine made rugs, anything with synthetic fibers or rubber backing, and anything using non-traditional construction techniques which compromise durability or the capability of future cleaning). In the not so distant past, the "last piece of the puzzle" could have been any of many different rug possibilities, each suitable as a good fit. Nowadays the number of perfect fits is significantly less numerous. 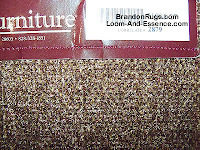 Ideally, fabrics are selected after the rug. fabrics decides the rug choice. vanguard of the design process. that is the right fit for what has already been decided upon, or is already in place. While that now might mean one of only two or three great choices -- whereas it once meant one of maybe ten or more equally good selections -- the task is still worth the effort. To paraphrase an expression (for which we forget the correct attribution): "The difficult we do right away; the impossible takes a little longer." With that as introduction, we had the privilege of recently helping a new homeowner find a "last piece of the puzzle" rug to complement her new furnishings in her newly painted living room in her new home. We were given a color board of fabrics and paint about six weeks prior to installation. In that time we located twelve different hand-knotted rugs which addressed the personal desires of the customer for her room within the constraints dictated by the established choices. 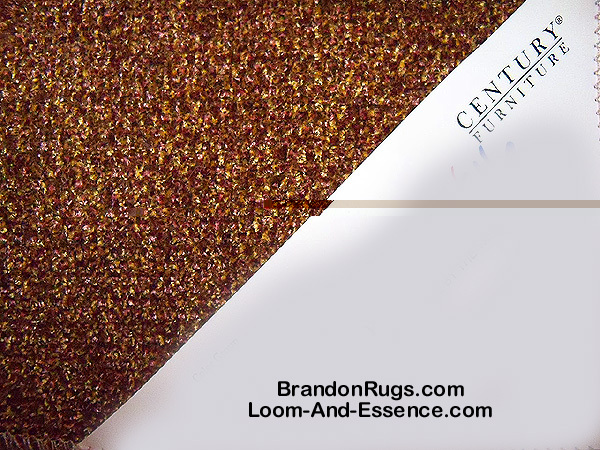 We should note here that in advance of seeing any of the rugs in the room, the consensus preference was for a rug that powerfully brought forth the dark burgundy and brown accents common to the fabrics. As often happens, preconceived preferences were not the optimal solution for room -- which is why any "must buy it before you try it" rug offer should be ignored -- and all of the burgundy or darkly colored rug selections upset the integrity of the room which the customer had carefully established by her earlier decisions. 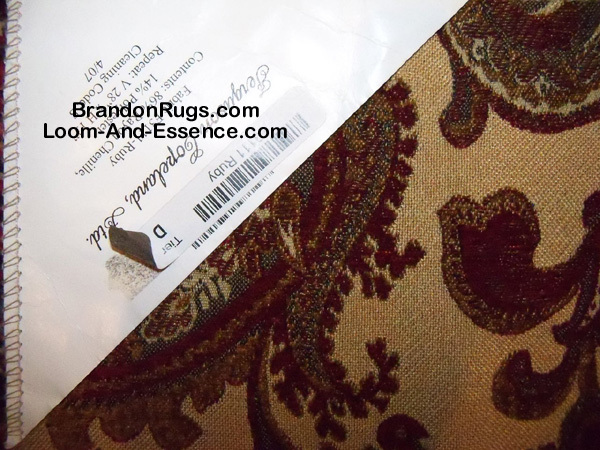 Our customer's rug choice after a lengthy presentation and comparison of all the choices she had pre-selected for consideration is one that she had considered early in the process and which maintains an overall balance in her room. The light background with burgundy and camel accents does not overpower the rest of the furnishings and preserves the sense of volume in the room by not imposing an overpowering (dark) background on the floor. The other furnishing elements are not camouflaged or diminished by the rug, and the room has the calm, integrated feel of a well composed painting. 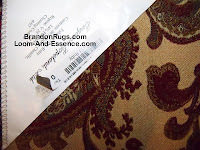 As we constantly state, good taste cannot be disputed, and we commend our customer for her tasteful selections throughout her new home; one element of which -- the living room rug -- we had the privilege to help her resolve.